The vast majority of flood insurance is provided through the National Flood Insurance Program (NFIP) and regulated by the Federal Emergency Management Agency (FEMA). The NFIP was founded in 1968. In most cases Actual Cash Value Policies (replacement cost less depreciation) are provided by the NFIP. However, not all flood zones are deemed Hazardous. Homes located in Non-Hazardous Zones (B, C, or X Zones) are not required by lenders to carry flood insurance; however, it is strongly recommended as many flood claims occur in Non-Hazardous Zones. COBRA Zone (Coastal Barrier Resource Area Zone). According to FEMA, The Coastal Barrier Resources Act of 1982 removed the Federal government from financial involvement associated with development in undeveloped and protected areas. The barrier areas were mapped, deemed COBRA zones, and banned the sale of NFIP flood insurance for structures built or improved on or after a specified date (1983). The purpose of this Act seems to be an effort to slow down growth in coastal areas in order to protect the integrity of the coastal wildlife habitats. 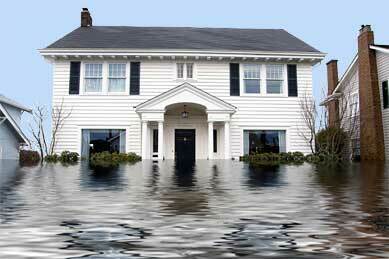 Insurance carriers willing to offer flood coverage in COBRA zones are extremely limited. Southern Alabama Insurance has markets that can provide COBRA Zone flood insurance in Gulf Shores, Fort Morgan, Orange Beach, and other parts of Alabama. This product is 100% underwritten by Certain Underwriters at Lloyd’s.